Butch my friend...good to see you post. Like Tom said, post a pic of your plug....these guys will tell you exactly what you need to do, and what is going on with your plugs. Doesn't look to aweful bad,but I got a question? 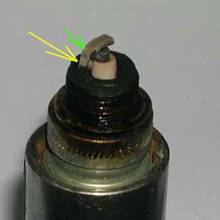 Why are you running a power tip spark plug? Is this a strickly strip engine? Or do you run this on the street too?